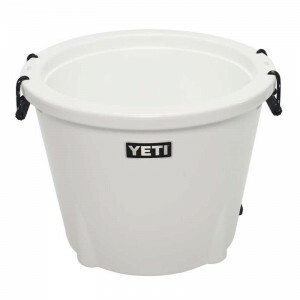 When heard about Yeti most people imagine something horrible and frightening, but only experienced haunters/fishermen or just travelers imagine high-end coolers. In this article we are going to tell you about the unique high-quality features of this world famous brand and give you a list of the most well-known representatives of Yeti brand to choose from. Here you will find various options of Yeti coolers on sale and be able to consider each of them deeply. Firstly we have prepared a comparison table to give you a quick look on the models that will be described further in our article and to compare their main characteristics. Yeti Coolers on Sale. Let’s Compare! A party tub like no other. Keeps all your drinks iced till the next morning. Yeti Coolers. Why so Popular? To answer the very frequent question from our readers about the tremendous popularity of the Yeti brand we must go back in time and start from some history. Everything has started when the Seiders brothers decided to create an ideal cooler which they could use every day. From this decision the generation of YETI coolers has started. We have a suggestion that one of the main secrets of Yeti success is the fact that Roy and Ryan Seiders have created their cooler first of all for themselves and their needs. They have not planned to start mass manufacturing that would be their business. So, any market research has not influenced on their decision. 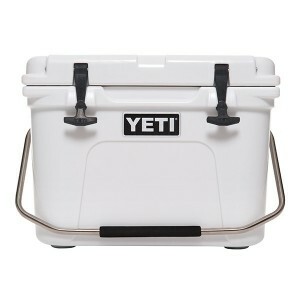 Yeti coolers were created to withstand all negative weather conditions and long-lasting trips. They should not have been coolers to go to a park picnic or to take to work as a lunch box. These coolers have to be extremely durable, with solid construction and long duration of ice retention period. And the Seiders brothers have succeeded in it. Nowadays we are able to purchase these coolers and go wherever we want with them without any fears that they will let us down. These coolers are made of the same material as the water kayaks are made of. Also for these coolers the same rotationally molded technology was used as for the kayaks creation. One of the most pleasant moments when describing Yeti coolers is the fact that they are US made! Let’s take a closer look on each of the Yeti representatives. Yeti Coolers for Those Who Appreciate REAL Quality. In this part of our article you will find more detailed information about the most well-known representatives of Yeti lineup. With the great range of available sizes and models you will be able to easily pick up the best one for you. The first series in our list is YETI Tundra. These coolers can boast of the really impressive range of available sizes. You can find Tundra coolers from the biggest with the capacity of 268 cans to the smallest with the capacity of 20 cans. Thus you are able to purchase an appropriate cooler’s size when you are going to a single trip or when you are going camping with the company of your friends as well. These coolers are also related to bear proof coolers. 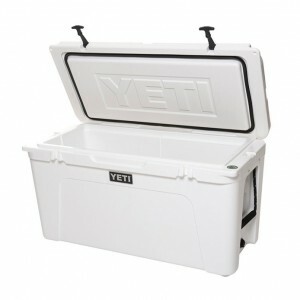 Coolers from Yeti Tundra line will ideally fit long trips, several-day hunting or fishing. Thanks to the same rotationally molded technology as the kayak have, Yeti coolers can boast of very good insulation and have all rights to have a title of the best insulated coolers. Coolers are also equipped with the ColdLock gasket that will keep the cold air inside cooler as long as it’s possible. When speaking about duration of ice retention, Yeti brand definitely occupy leading position. Users say that these coolers are able to hold an ice inside up to week, or even more depending on their correct using. As it was already mentioned above, these coolers are not for the everyday using. It doesn’t mean that they will not cope with the task of holding drinks during your pool party or romantic picnic at the beach, it simply will be ridiculous to use SUCH coolers for such purposes. It will be like buy a premium-class sport car and drive to the nearest supermarket for food. Each lineup is designed for certain purposes, and Yeti line (Yeti Tundra series too, of course) has been created for more serious purposes than one-day parties. The next Yeti cooler we will speak about is Yeti Roadie. Initially the name Roadie was created as the reduction of two words- road and ready. And it is the perfect name for this cooler, because it was especially designed for long road trips. The convenient form of this cooler allow you to place it at the backseat of your car or to take it to the kayak. Anyway, this cooler will not take much space wherever you put it. This model is a perfect choice for those people who prefer solo-travelling. With the rather small size this cooler will provide you with enough space for food and drinks and will become a good and reliable companion in your next trip. Yeti Road cooler differ from other models by the presence of its security. To prevent interventions from other people or animals during your trip this cooler has special corner sections that are completed with built in lock holes, thus you can use your own padlock for the good security. One more feature that makes this cooler very convenient is its handles. Handles of the Yeti Roadie are locked in the place while you are carrying it and make its transportation easy and convenient. Unlike other models, where handles are designed that way, that cooler swings when you carry it, this option will not bring you such problems. Despite the fact that the Yeti Roadie is designed in the main for one person, you still can take your friend with you to the trip. The food and drinks will be enough for you two. Great option, great manufacturer, great features. Next representative of famous Yeti lineup is Yeti Hopper cooler. This soft-sided cooler definitely will not leave you indifferent. There are many people who very suspiciously relate to soft-sided coolers because of they can’t withstand hot weather and are not leak-resistant. Bet you will change your point of view after considering this soft-sided Yeti Hopper! These coolers differ from ordinary standard variants that you can find in the nearest shop. The Yeti Hopper coolers are made of an extremely durable Dryhide shell material and have the duration of ice retention terms that can easily compete with the best out there. Users love these coolers for their small size and convenient form. These coolers can easily hold 18 cans with drinks and some big sandwiches during several days. One user wrote that he took the Yeti Hopper to his several-day journey on kayak and even after coming home find the remains of the cooler’s content cold. These coolers are water and puncture resistant and are equipped with specially designed D-rings that allow you to fasten your cooler to the truck beds and boat. 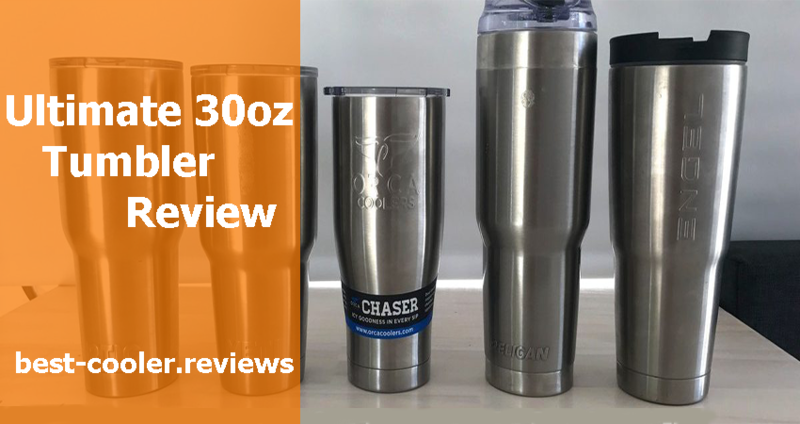 Users write in their reviews that these coolers perfectly cope with their tasks and impress with their quality, convenience and durability. Last participant of Yeti lineup representatives in our list is Yeti Tank. This cooler fully justified got its name. It is a real TANK among coolers. This cooler will easily hold up to 96 cans for your next trip or camping. All that you should do is to fill it with ice and you will be ready to go. Durable lid of the Yeti Tank helps it to hold an ice inside for very long periods of time. The lid of this cooler is designed the way that you can even cover it up. In one review from user we have read that he used his Yeti Tank without lid and found an ice inside the cooler after the whole day of its using. This cooler also has special sweat-proof design and it means that you will not notice wet spots on all surfaces where you put your cooler. In all reviews from users that we have read people enjoy the duration of ice retention period of this cooler and affirm that it is a great option for big parties outdoors. Also people say that it will become the integral part of each gathering if use it with kegs. Good option for summer parties and big gatherings with friends. Definitely worth purchasing. All representatives of Yeti coolers lineup have an excellent quality and design but it is not a secret to anybody that some people (and especially girls!) always need some special and unique. If you want to impress your girlfriend with something bright and unique Yeti can help you. Yeti manufacturers have created the limited edition of Roadie 20 and Tundra 45 coolers in bright pink color in order to support National Breast Cancer Awareness Month. You girl will definitely appreciate this model! 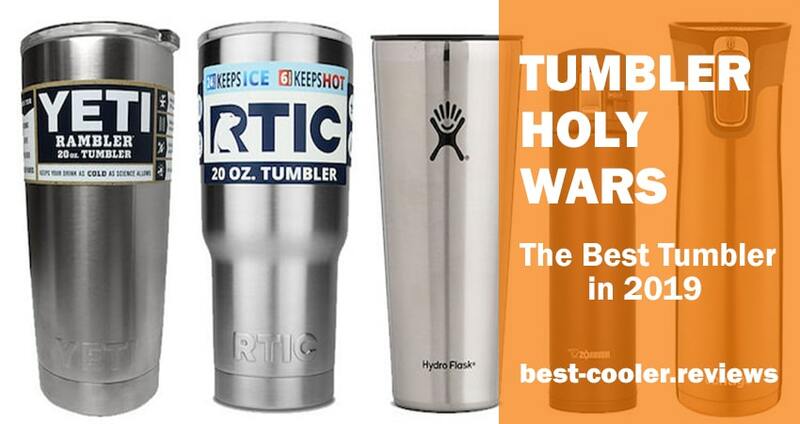 Purchase these options (and not only) you can on the Yeti’s website. 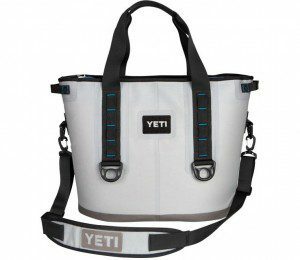 One more option from Yeti manufacturers that will help you to stand from the crowd is another special edition of Yeti coolers in ice blue color. You are able to find the Yeti Tank, Yeti Tundra and Yeti Roadie models in this color. Where Can I Buy My Yeti Cooler? Of course the first place is occupied by the Amazon. Here you will be able to find the best price on Yeti coolers and in addition to this get free shipping wherever you live. One more great advantage of Amazon is a great number of reviews from users that will help you to make a final choice. So, you can just now check out Amazon and order delivery straight to your house. In conclusion to our post we want to say that if you are searching for the cooler that will be able to hold an ice during several days, be able to withstand any weather conditions and in addition to this will be stylish and qualitative- than Yeti coolers is exactly that you need. In this article we have described different available options and we hope that they will be useful for you and help you to make you a final choice. Good luck and amazing trips with Yeti coolers!